We are excited to announce that Explicit The Fame Game or Gimmick arrived in Australia on 16 July 2009 and came home to Firebush on 15 August 2009. 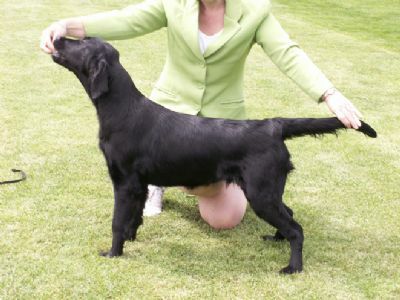 He was bred by Mathilda Luckner of Explicit Kennels. 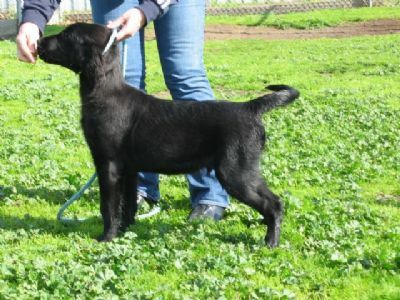 Gimmick is a very sound flatcoat with a sweet and confident temperament. Our thanks to Mathilda Luckner for breeding this special boy and for the work she put in to socialising him ready for his big journey to Australia. Gimmick has settled in to life at Firebush with all the other flatcoats. His temperament and conformation are outstanding. 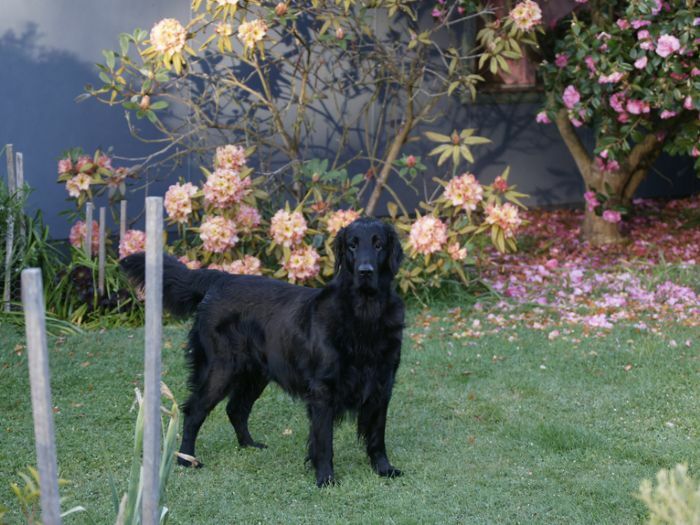 Gimmick has matured into a beautiful flatcoat and gained his show championship title in March this year.